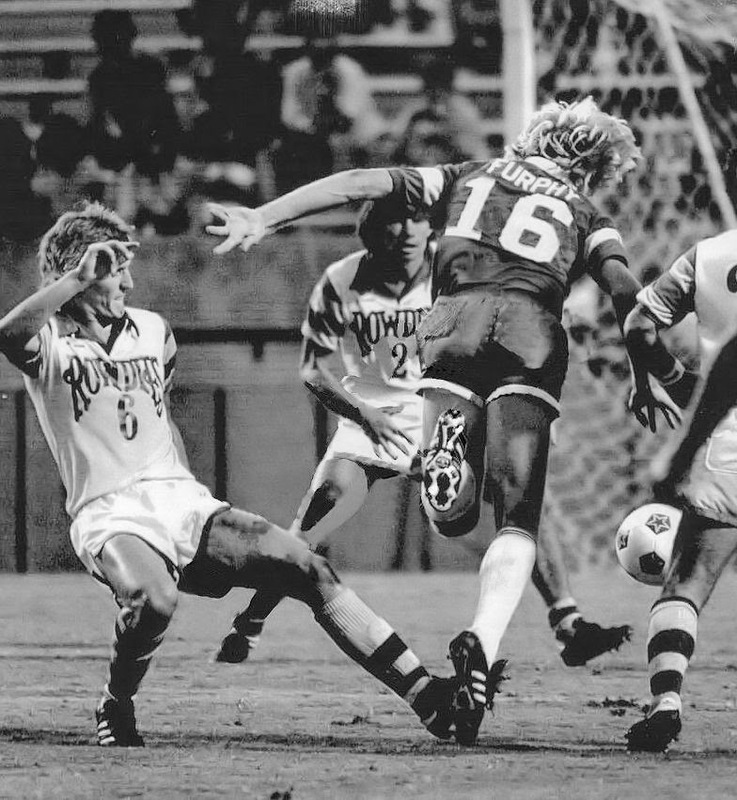 Luis Fernando in full flight, during 1983 at Tampa Stadium. 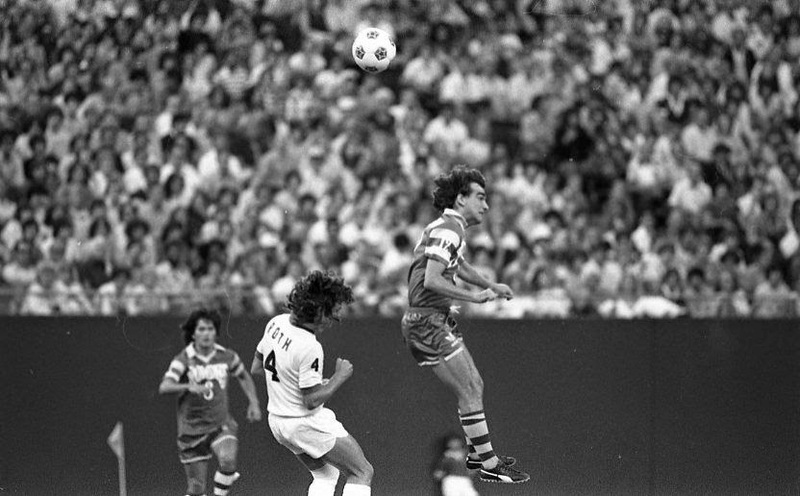 Peter Anderson outjumps New York Cosmos' Werner Roth, at Giants Stadium in 1978. Watched on by Wes McLeod. John Sissons' 1970 My Favourite Soccer Stars Card, whilst he was at Sheffield Wednesday. 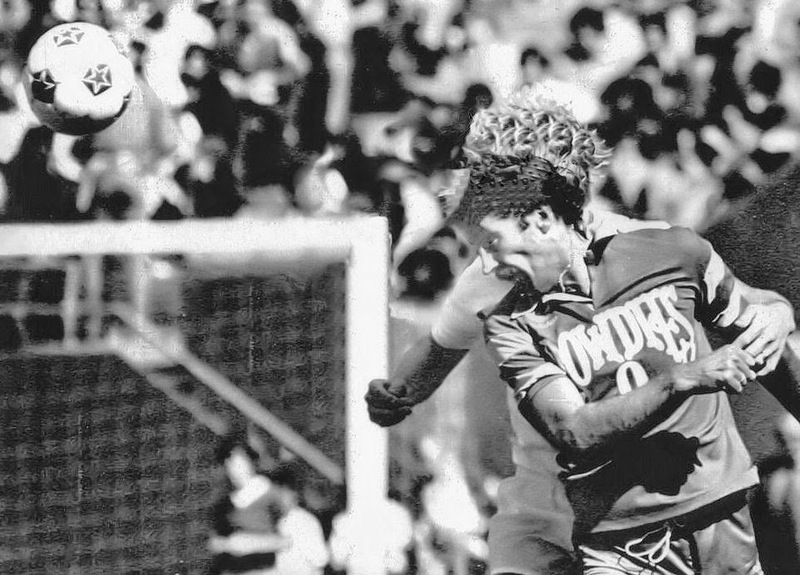 Kevin Eagan in action during 1977. 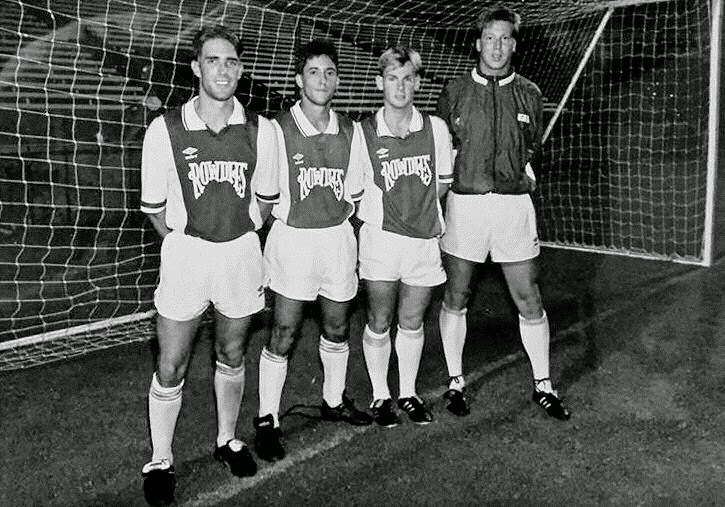 A snap shot from an 1986-87 AISA game against the Canton Invaders, showing Tim Walters and Steve Wegerle. Many thanks To Dave Morrison for this photo. 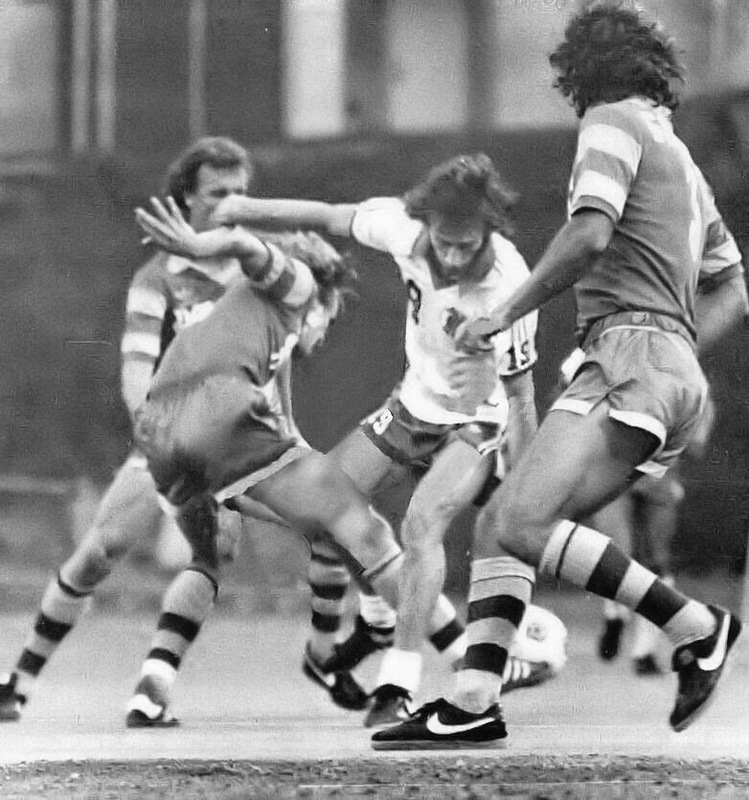 Jan Van Der Veen holds off New York Cosmos' Giorgio Chinaglia, at Tampa Stadium in 1980. 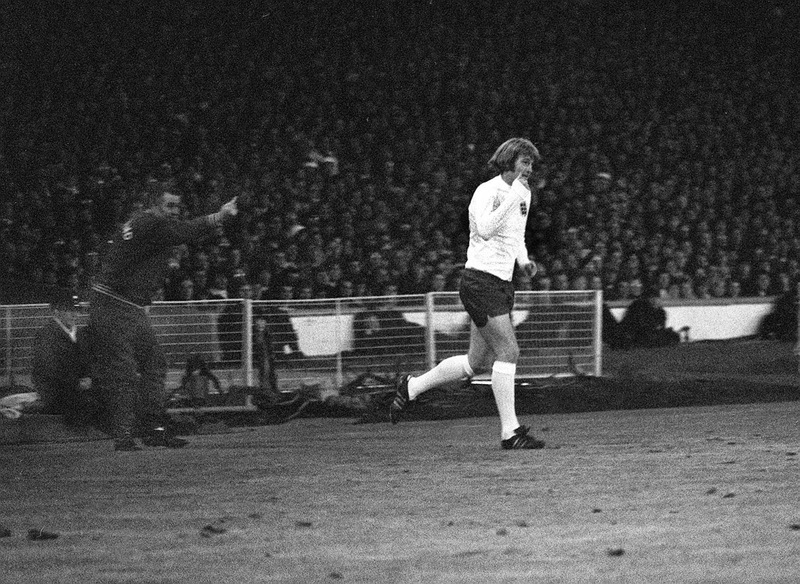 Rodney Marsh, directed by England trainer Harold Sheperdson, runs out at Wembley to make his International debut in 1971. 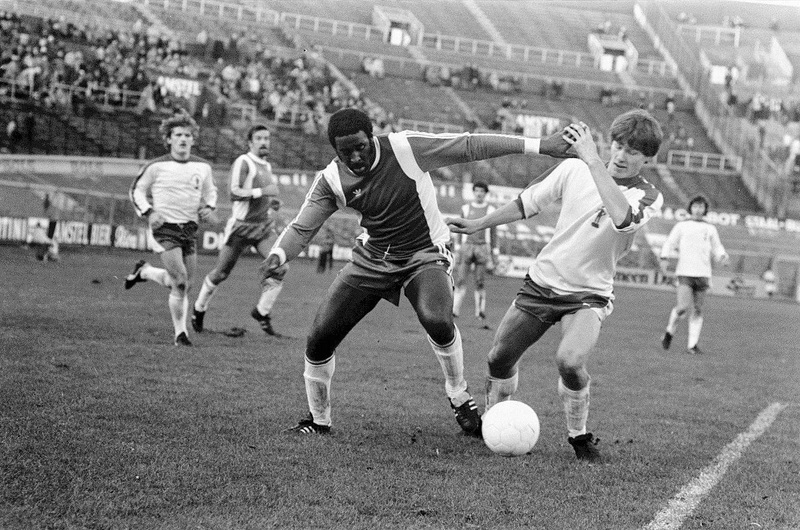 Wes McLeod in action against the New York Cosmos, at Giants Stadium in 1978. 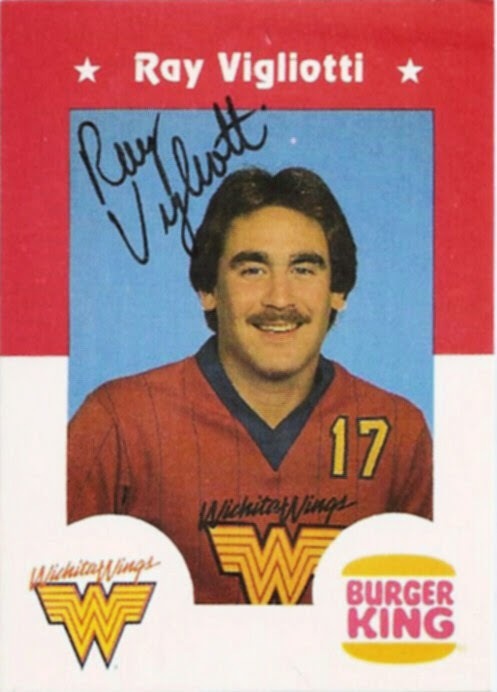 A signed 1982-83 Ray Vigliotti card, whilst with the Whitita Wings. 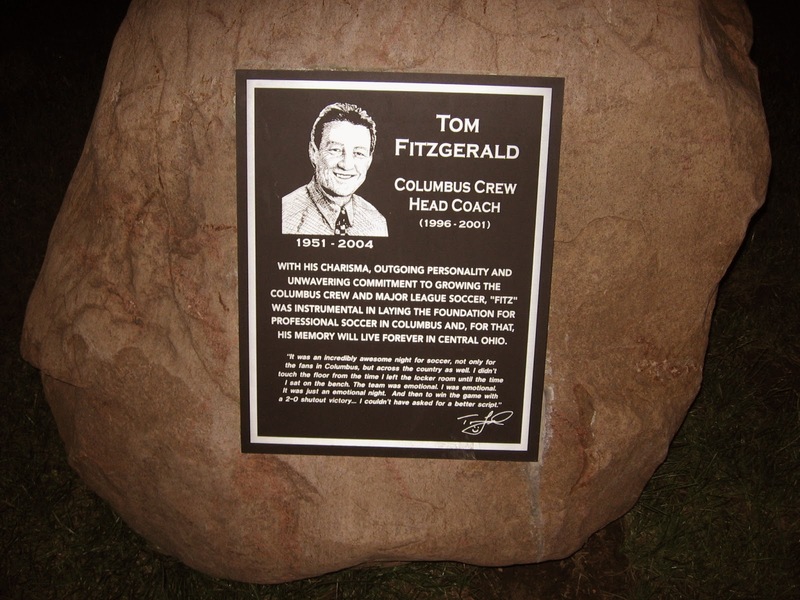 Many thank to Ray Knisley for this photo. 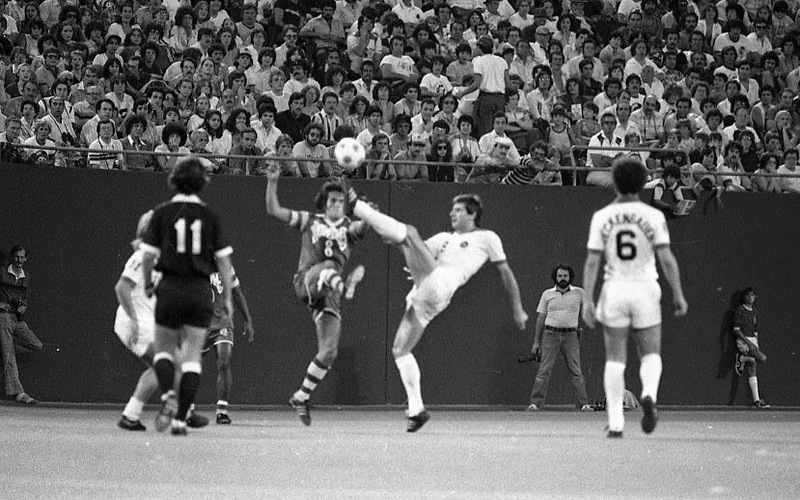 Peter Anderson in action against the New York Cosmos, at Giants Stadium in 1978. 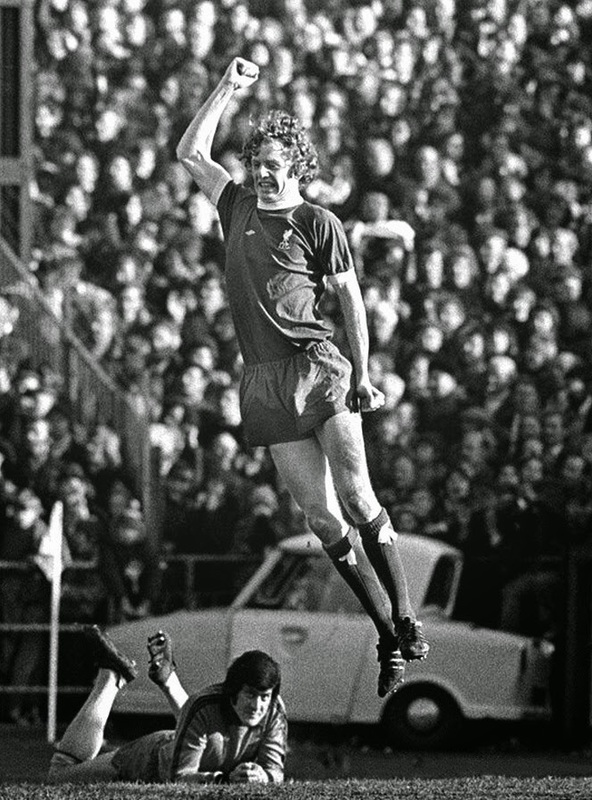 Norwich City's goalkeeper Kevin Keelan watches as Liverpool's David Fairclough celebrates scoring past him, from a game in 1976. 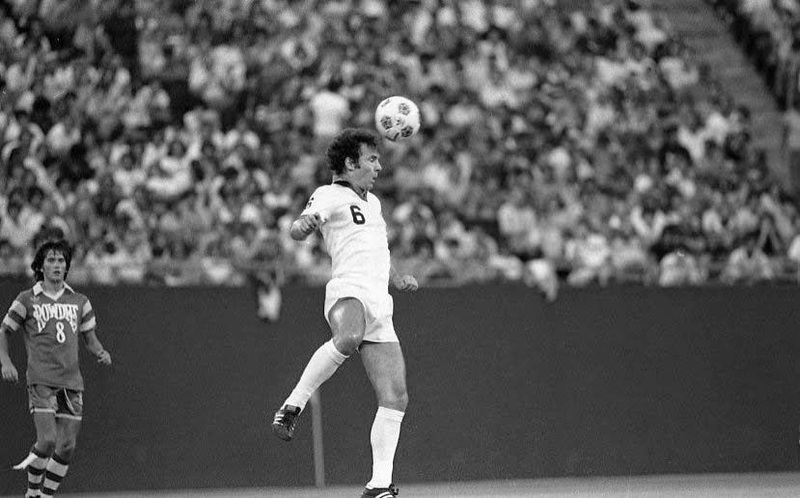 Frank Worthington jumps with a New York Cosmos' defender, at Giants Stadium in 1981. Gregg Thompson 1983 McDonalds Promo card. 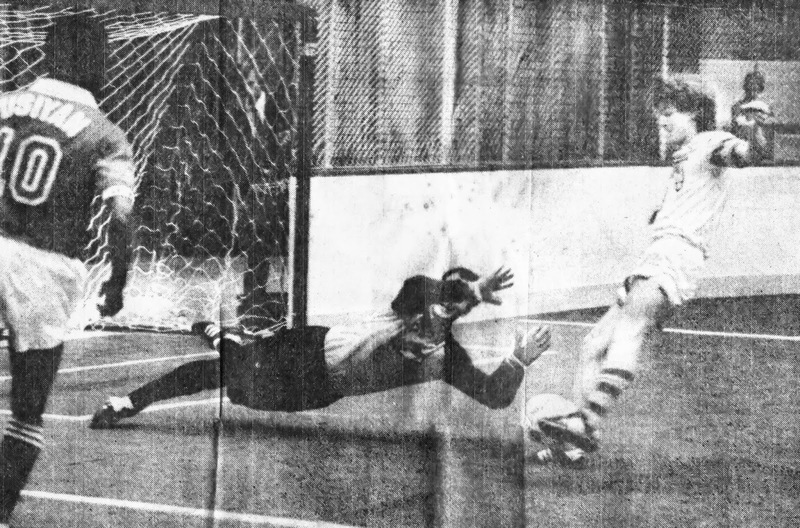 Mark Karpun in action, during an indoor game against the Montreal Manic in 1983. 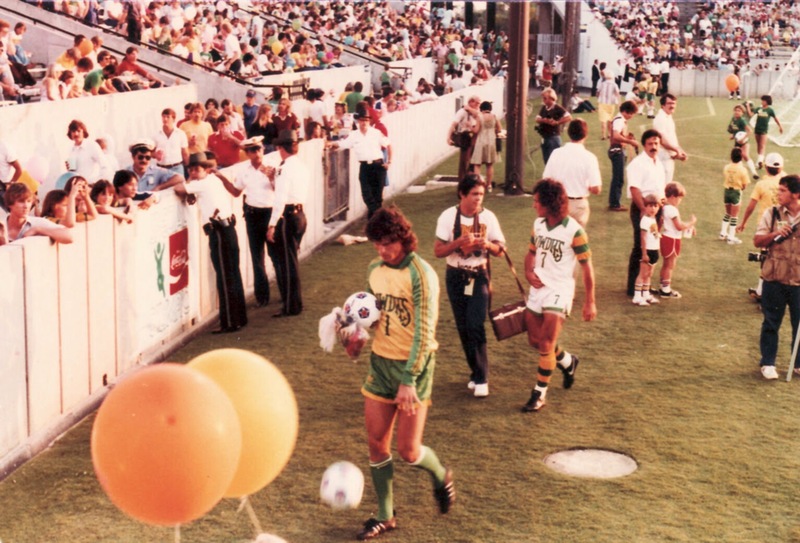 A snap shot of Winston DuBose and Steve Wegerle at Tampa Stadium in 1981. Many thanks to Patricia Scifres for this photo. J.C. Molina 1983 McDonalds Promo card. 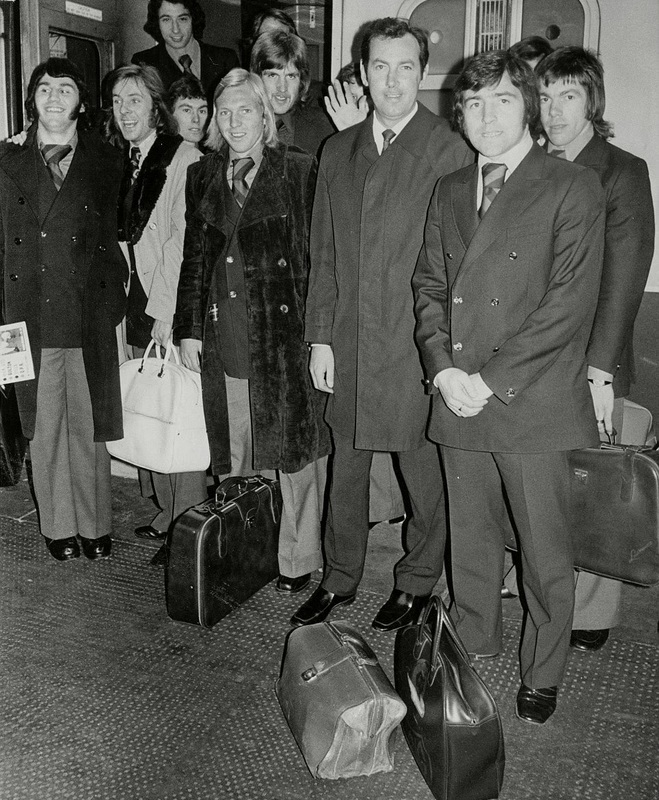 Rowdies Coach Gordon Jago, photographed whilst Manager of QPR in 1973. 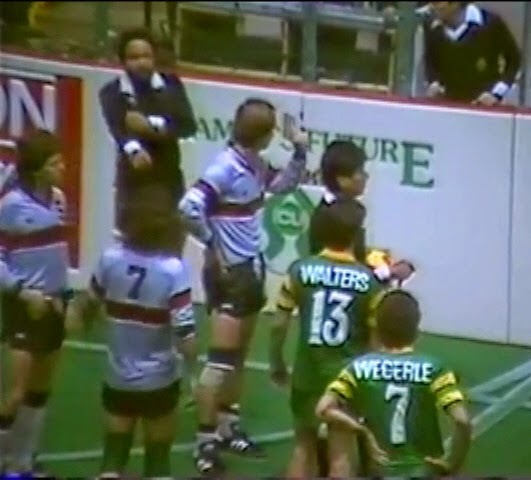 Winston DuBose is beaten during an indoor game, at the Bayfront Centre in 1982. 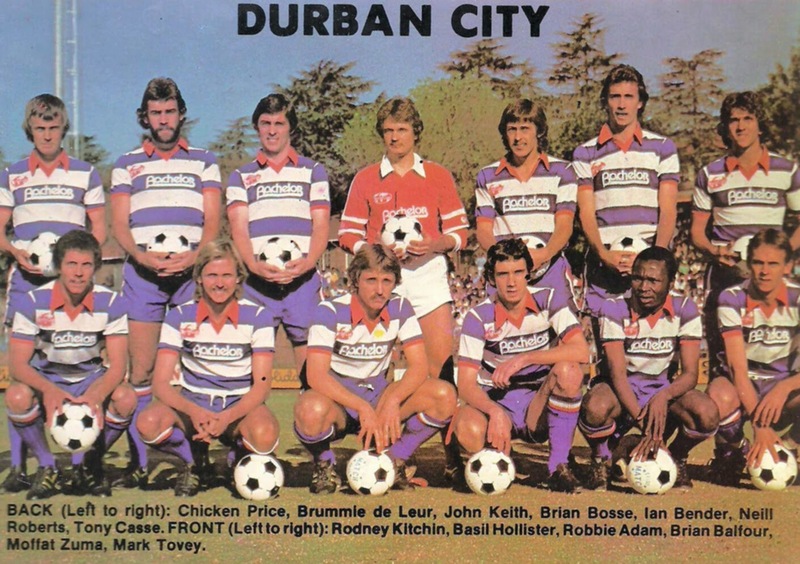 A 1980 team photo of South African side Durban City, showing former Rowdie Neill Roberts on the back row. 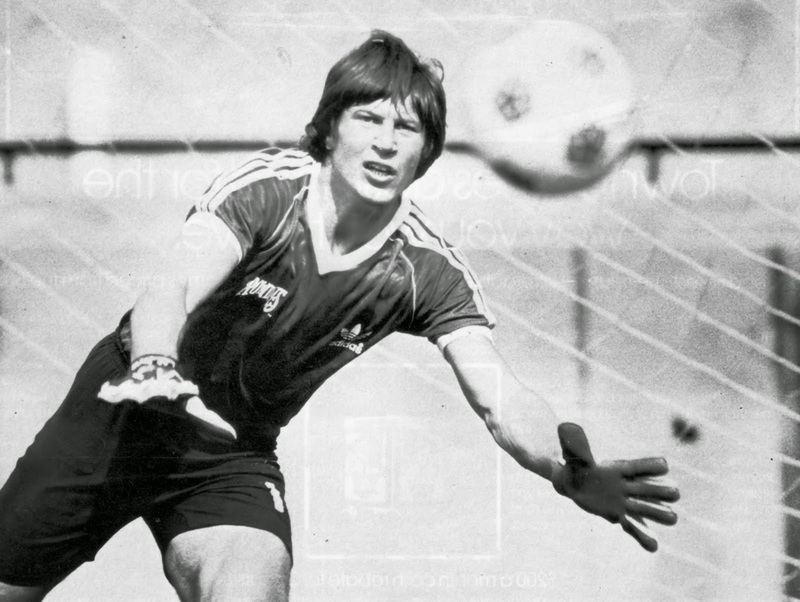 Jurgen Stars in action, during a training session in 1981. 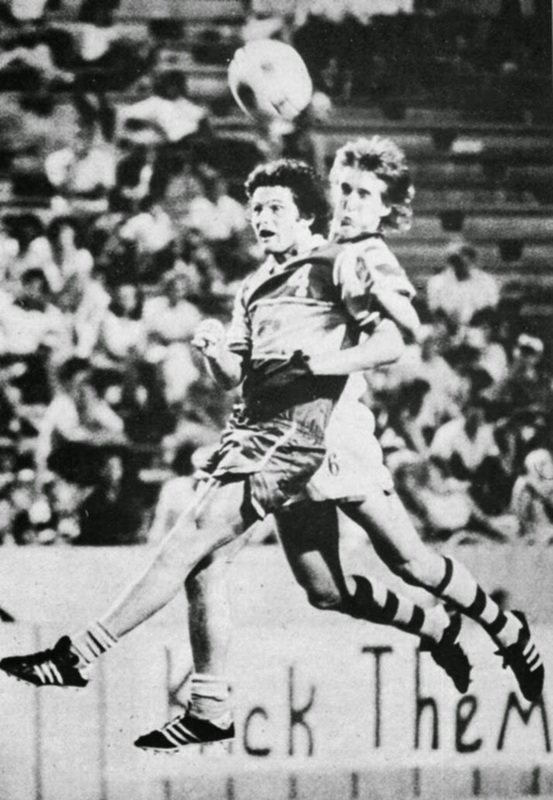 Mike Connell stops Atlanta Chiefs' Keith Furphy, with a well placed foot, during the 6-0 win at Tampa Stadium, in 1980. 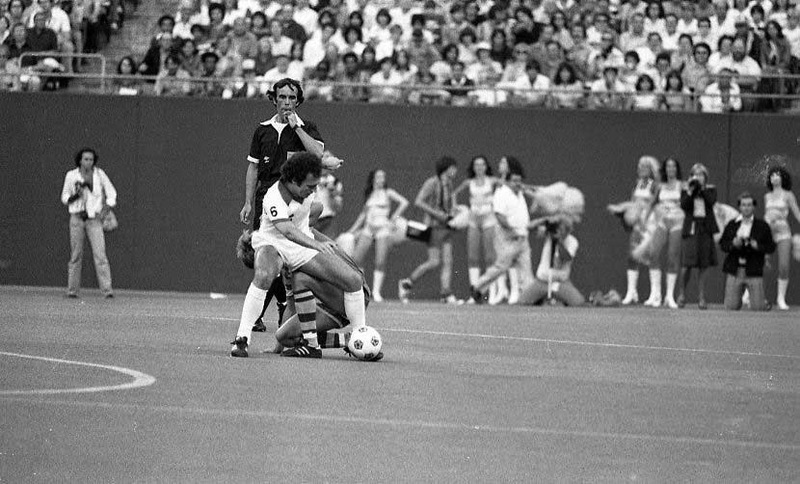 Farrukh Quraishi and Stewart Jump, watch as New York Cosmos' Pele attempts an overhead kick, during the 1977 game at Giants Stadium. Peter Nogly 1983 McDonalds Promo card. 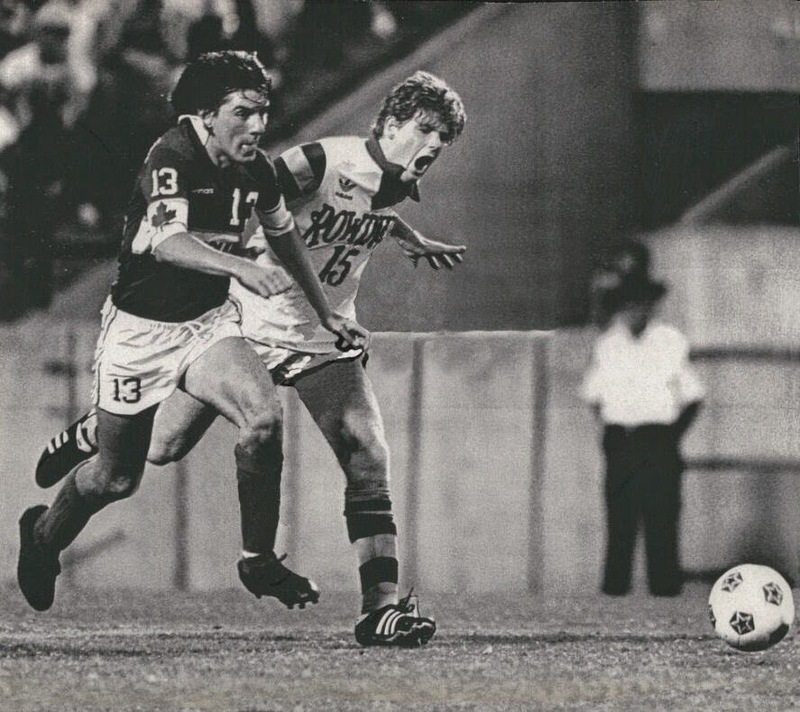 David Mehmet gives chase to Vancouver Whitecaps' Peter Beardsley, at Tampa Stadium in 1981. The Rowdies won the game 4-1. 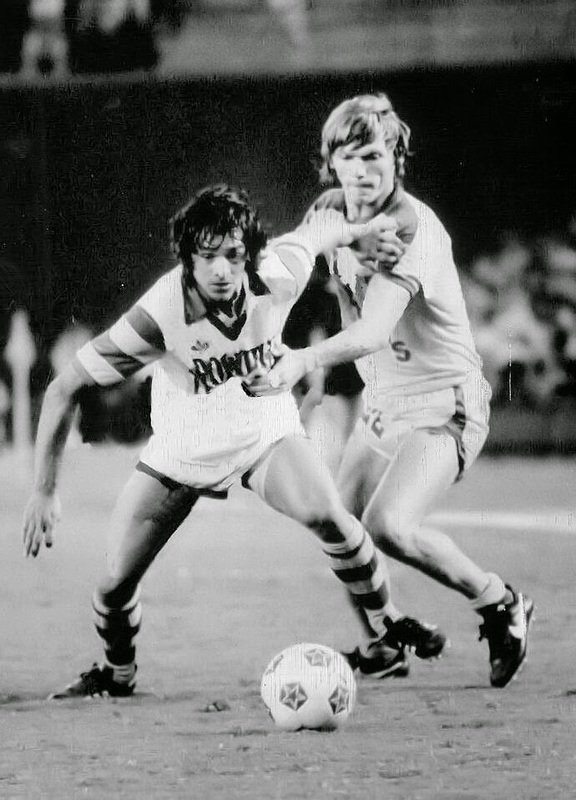 Washington Olivera holds off San Diego Sockers' Julie Veee, during the 1980 Playoff Game, in which the Rowdies lost 2-6. 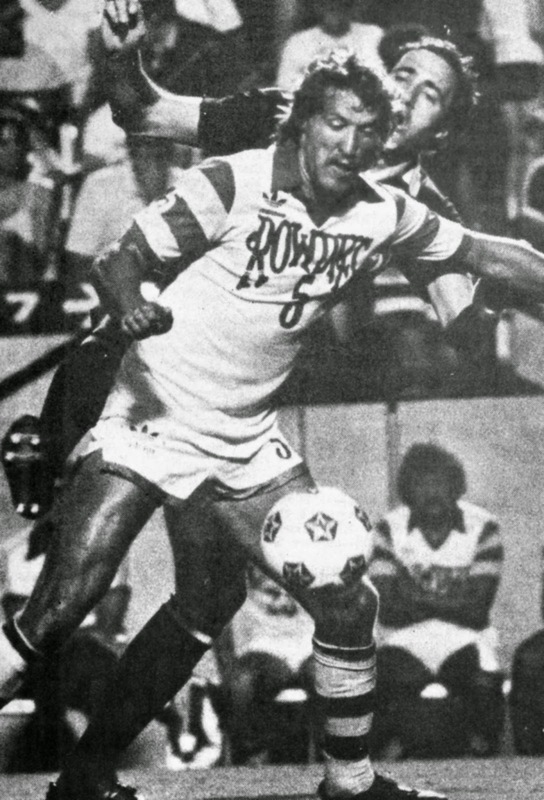 Mike Connell closely marks San Diego Sockers' Ade Cocker, during the NASL Conference Championship Game in San Diego. The Sockers won 0-1. 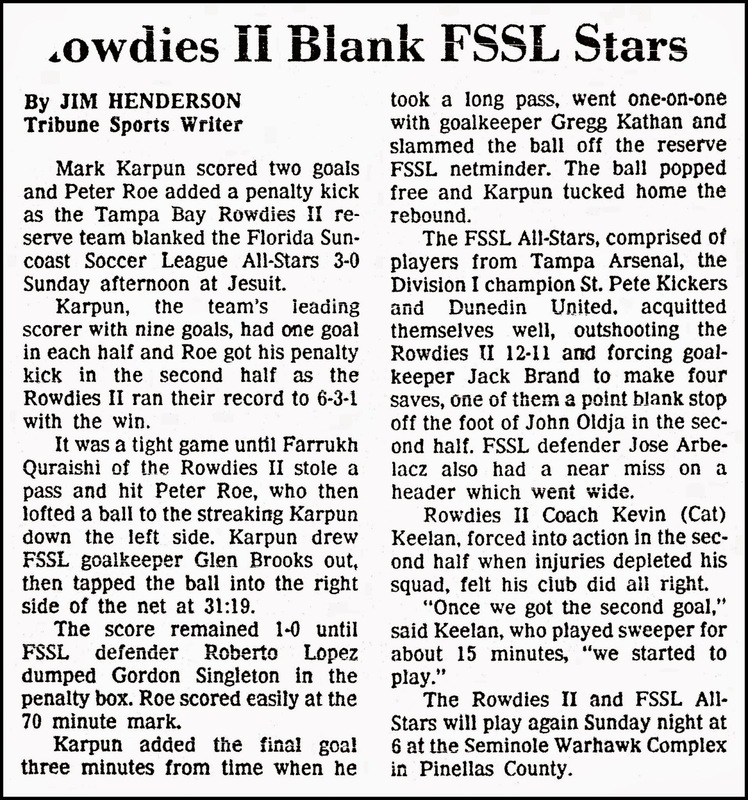 A newspaper clipping from the Rowdies II 1982 game against the FSSL All-Stars played on August 1st, 1982, at the Jesuit Stadium. 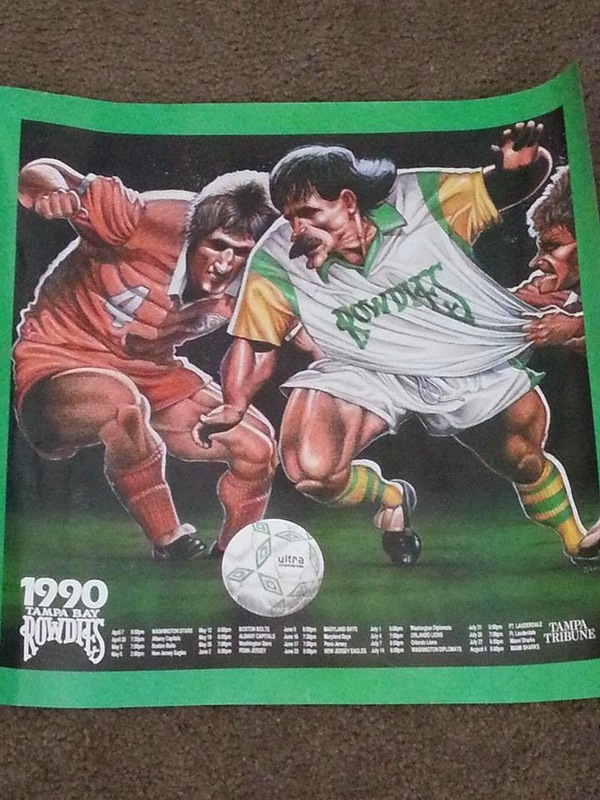 The Rowdies II won 3-0. 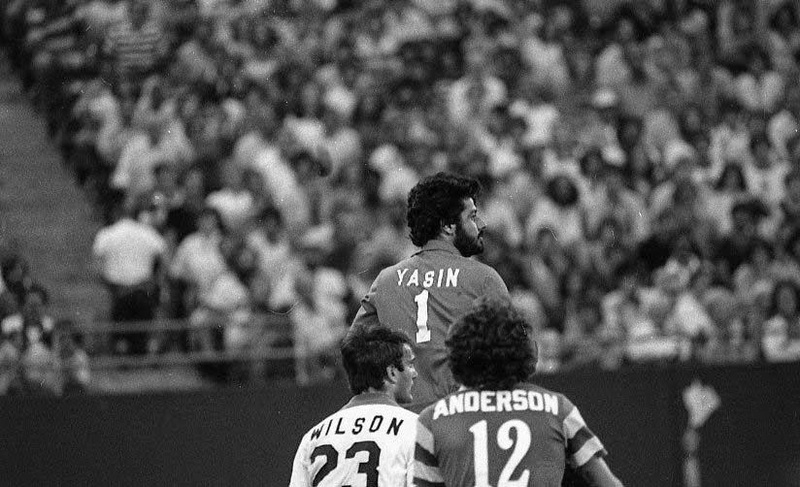 Tatu, Manny Rojas and Gregg Thompson celebrate Luis Fernando's goal, at Tampa Stadium in 1983. 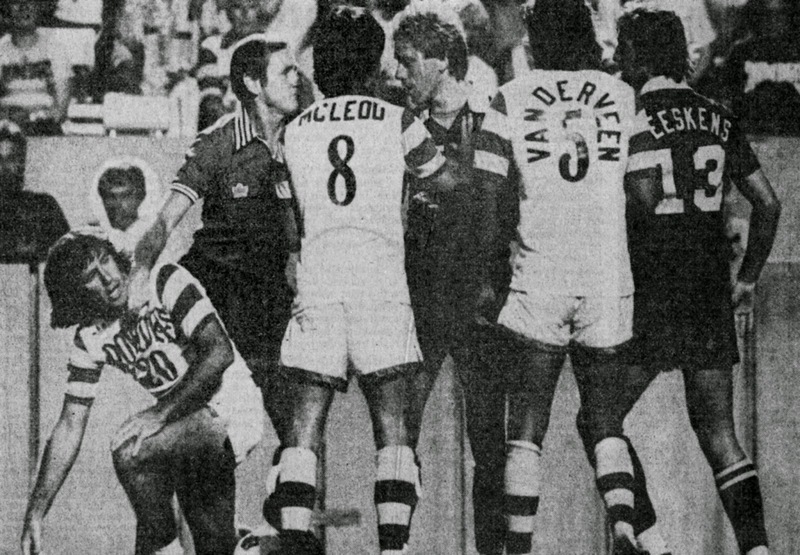 Wes McLeod and Jan Van Der Veen step in as peacekeepers, whilst Oscar Fabbiani picks himself up, during the game against the New York Cosmos at Tampa Stadium in 1980. 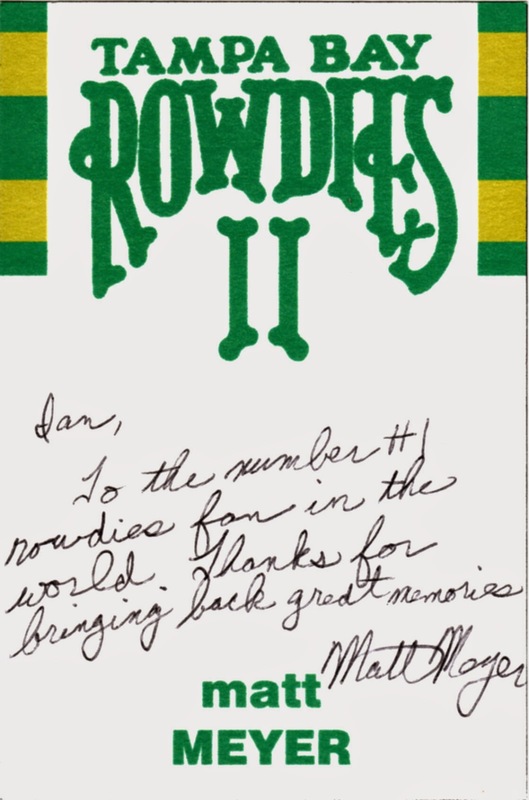 A newspaper clipping from the Rowdies II 1982 Exhibition Game against the Carolina Lightnin' played on July 22nd, 1982, at the Memotial Stadium. The Rowdies II lost 3-4. 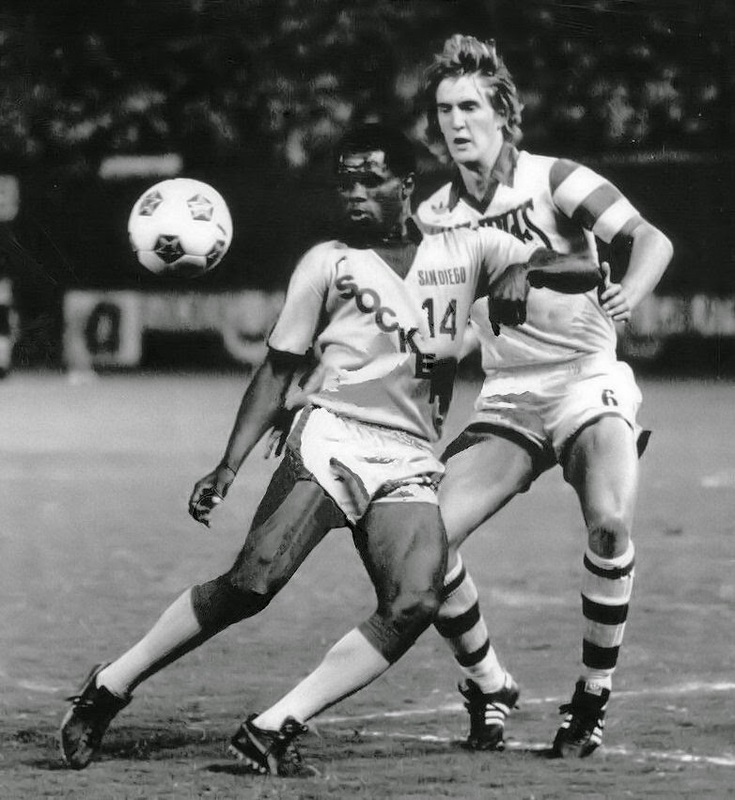 Mike Connell and Wes McLeod watch, as Atlantic Chiefs' and future Rowdie David Byrne, slips during the NASL Indoor Eastern Divisional Playoff Game, in which the Rowdies won 6-5. 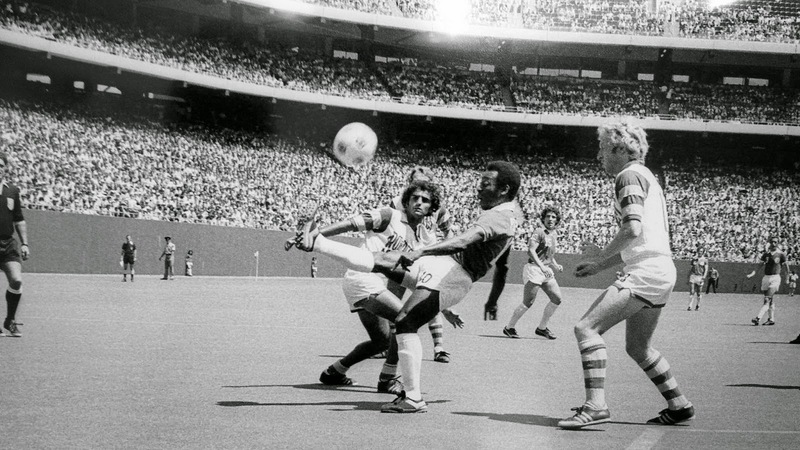 Graham Paddon closed down New York Cosmos' Carlos Albert, at Giants Stadium in 1978. Watched by Mike Connell and Jim Fleeting.